Neuroscientists and engineers at UC Berkeley and UCSF have joined forces to help pioneer a new frontier of brain repair – the development of devices that would allow patients with such conditions as stroke, spinal cord injury, traumatic brain injury and Lou Gehrig’s disease to control prosthetics through thoughts alone. Under the newly launched Center for Neural Engineering and Prostheses (CNEP), the investigators are working to develop neural prostheses that transmit communication signals from the brain directly to robotic arms, legs and computer cursors, circumventing damaged or missing neural circuits in people suffering from disabling conditions. UC Berkeley and UCSF researchers are integrating cutting-edge engineering with world-class neuroscience to help restore sensory, motor and cognitive function in patients suffering from disabling neurological conditions. The devices being developed at the center are designed to translate a person’s brain signals into movements carried out by neural prostheses. The devices being developed at CNEP, based at both UC campuses, are made up of an array of electrodes and circuitry designed to encode a person’s thoughts and intentions for movement. The electrodes are implanted in the healthy neural circuits in areas above the spinal cord or brain. 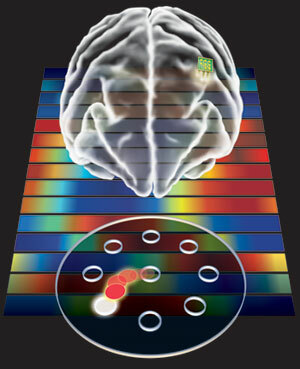 They pick up the brain’s signals, decode them in real time and transmit them to the neural prostheses. “Our approach exploits the power of cortical plasticity and biofeedback, combined with smart machine learning algorithms, to let the brain learn to control the machine,” said CNEP co-director Jose Carmena, UC Berkeley assistant professor at the Department of Electrical Engineering and Computer Sciences, the Program in Cognitive Science, and the Helen Wills Neuroscience Institute. CNEP will bring together dozens of UCSF and UC Berkeley faculty and students in the fields of neuroscience, neurosurgery and engineering. Building on insights they have made in awake-brain surgery patients and in experimental animal models, the investigators expect to develop some of these devices for testing in clinical trials within the next few years. 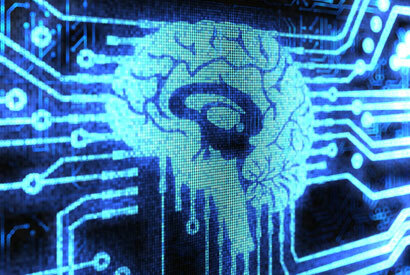 In addition to developing devices, the center’s mission is to train future neural engineers and clinicians. A new graduate student track in the UCSF-UC Berkeley Joint Bioengineering Graduate Program will feature engineering, neurosciences and clinical medicine. “Scientists and clinicians who take part in this program will be future leaders in academia and the medical devices industry,” said Carmena. The center builds on UCSF discoveries that date back to the early 1970s, when the late Robin Michelson was one of three scientists worldwide to create and implant the first neural prosthetic, the cochlear implant, which remains the only neural prosthetic in commercial use. In the 1980s, UCSF neuroscientist Michael Merzenich, played a lead role in the development of the multichannel cochlear implant, which substantially increased the capacity of profoundly deaf people to understand spoken language. Merzenich’s research helped introduce the notion that the sensory pathways in the nervous system change with experience throughout life – a concept now known as neuroplasticity. He showed that, in response to the device, the brain has the capacity to actively adapt and learn to process artificial inputs as natural sounds. UC Berkeley scientists have been at the forefront of research that takes advantage of this plasticity through neuroprosthetic systems. A milestone study in 2009 showed that the primate brain can develop a motor memory to control a prosthetic device, providing hope that physically disabled people can one day master control of artificial limbs with greater ease. The effort to establish the center was spearheaded by Dr. Robert Knight, Evan Rauch Professor of Neuroscience and director of the Helen Wills Neuroscience Institute, Shankar Sastry, dean of the College of Engineering at UC Berkeley, and Dr. Mitchel Berger, professor and chair of the Department of Neurological Surgery at UCSF. UCSF and UC Berkeley are leading universities dedicated to promoting health worldwide through advanced biomedical research, graduate-level education in the life sciences and health professions, and excellence in patient care.